Well, I think it’s funny. The last episode has to have debuted at least a year ago. I have to like the series. A lot. As in re-watching it over and over. And as in badgering my wife to watch them with me. Here are the anime series that are my favorites in alphabetical. I hope you enjoy them as much as I have! Human emotions create spiritual creatures named youmu. Negative emotions create youmu that might be dangerous to humans, so a long time ago, certain families (clans) of humans with magical abilities created the Spirit World Warriors. Spirit World Warriors have different kinds of magical abilities, some of which can be used as weapons. If a youmu attacks humans, these Spirit World Warriors will respond and kill the offending youmu. When a youmu dies, it leaves behind a youmu stone. The more powerful the youmu, the more valuable the stone. Merchants, some of them youmu, appraise and pay for the stones. 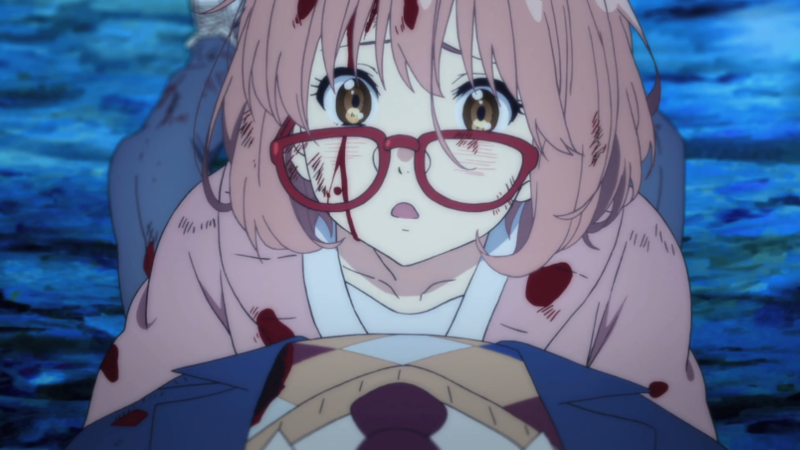 Mirai Kuriyama paid a high price for her misunderstanding. But she didn't retreat. Capture from the Crunchyroll stream. 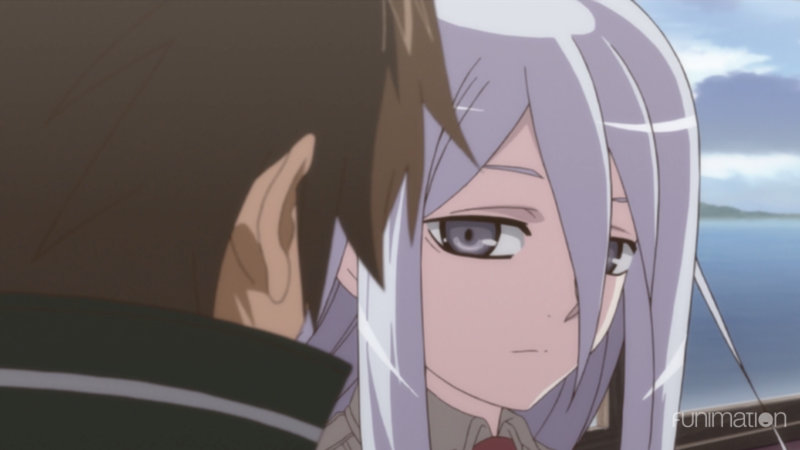 Chrome Shelled Regios takes place in desolate and destroyed world. Humans cannot survive for long in the wild, so most of them congregate in gigantic mobile cities called Regios. Not only is the world inhospitable, but it’s full of savage creatures called Contaminoids. They come in all shapes and sizes. The smallest can kill a human; the largest can destroy a Regios. Despite the odds, humanity struggles onward in part through diversity. Some cities excel at combat and authority, like Glendan, whose Queen rules over the Heavens Blades. They are gifted warriors who wield weapons far beyond what a normal human could handle. Other cities, like Zuellni, are mobile universities. Each Regios is managed and controlled by its own Electronic Spirit. Zuellni takes the shape of a small and mischievous girl when she appears to her people. Felli Loss' reserved attitude was part of this show's attraction. So was Layfon Alseif's struggled with his own power. Capture from the Funimation stream. Strong regrets bring some people back from the dead. If a monk from the Kōgon Sect doesn’t quickly make a contract with them, the person will become a shikabane, a powerful undead monster that kills humans. If a monk can reach them in time, and if that person is a young woman, the monk may become her Contract Monk. 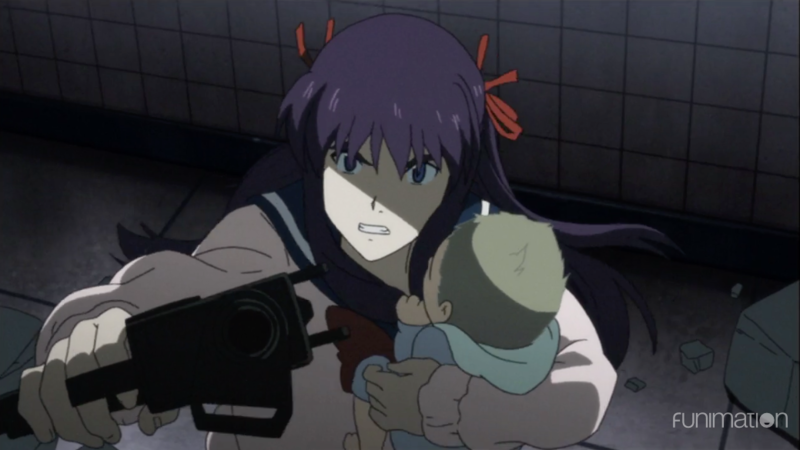 She then becomes a Shikabane Hime, a Corpse Princess, who exists to destroy shikabane. Makina Hoshimura's story in Corpse Princess starts after she was murdered. Screen capture from the Funimation stream. 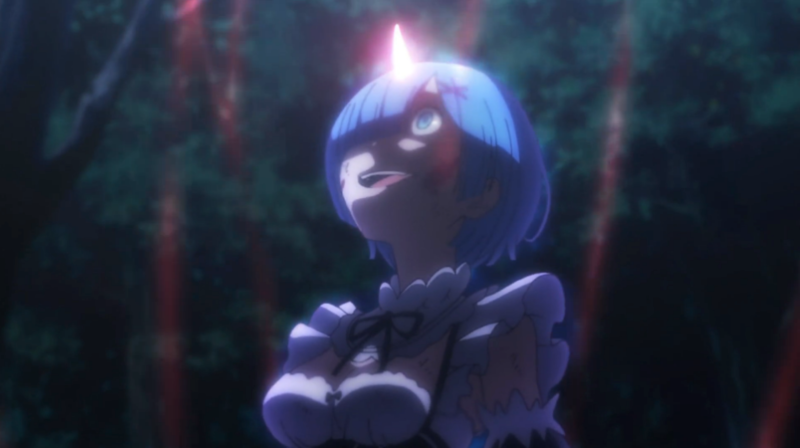 Though Re:ZERO starts briefly in our world, most of the series ​happens in a place that at first looks like a typical fantasy world. The level of technology seems ​to be medieval, and the only major difference that's immediately visible is that demi-humans are common. As the series progresses, we learn that in this world's ancient times, Satella the Witch of Envy destroyed the other six witches (whose titles ​came from the ​deadly sins​). Her power was so great that only a contract between the kingdom's monarchy and a powerful dragon kept her at bay. Despite ​those efforts, while her power's greatly curtailed, the Witch of Envy remain​s corporeal and plots to destroy the world even to the "present." Rem might be one of the most recognized characters from Re:ZERO, but she's really part of a fascinating ensemble cast. Capture from the Crunchyroll stream.